Disney World is largest and most entertaining theme park in the entire world. You can't visit Orlando without checking out the Mickey Mouse and his friends. Please click the link below to go to our Disney World section which is chalked full of helpful tips. Lights, Camera, Action! 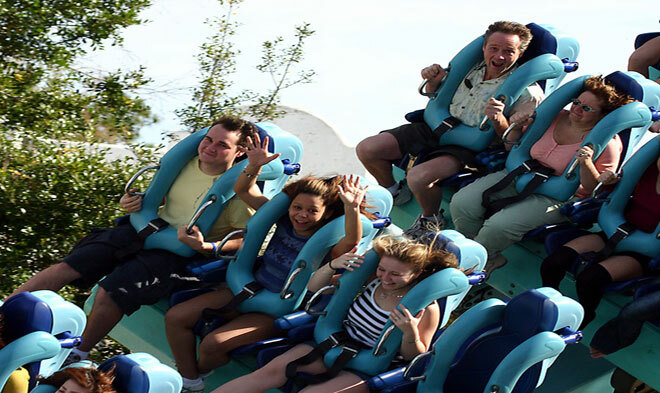 Universal Studios and Islands of Adventure are two grand parks which make up Universal Studios Orlando. While Universal Studios is a little smaller than Disney World it just as amazing and fun. 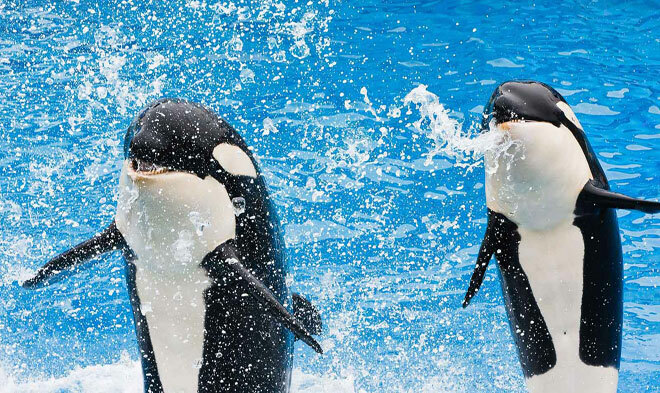 If you are looking for a great time then you will definitely want to check out SeaWorld. 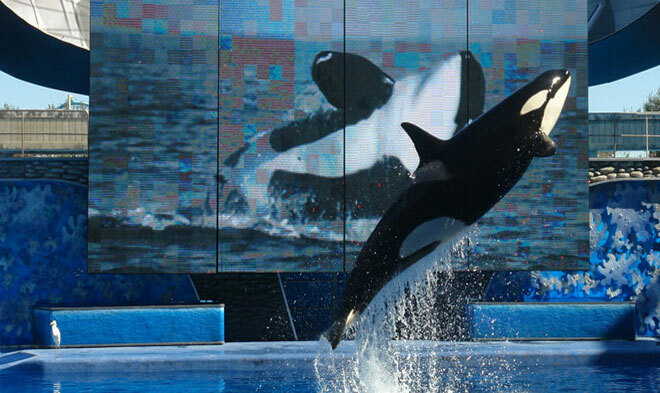 SeaWorld Orlando is part educational, part zoo, and part theme park. There is something special about walking into SeaWorld it just has that special feel! 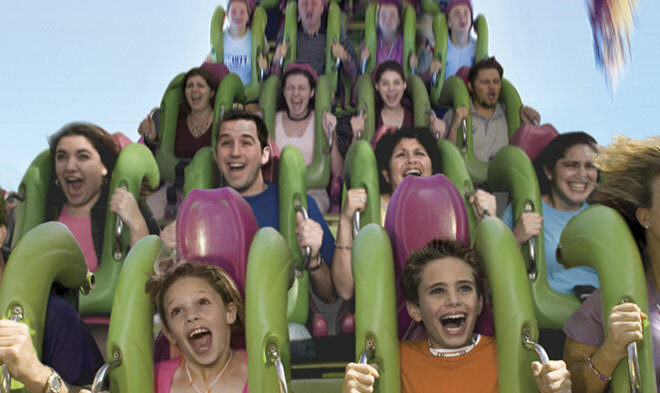 If you're coming to Orlando, it's probably because of the theme parks. Yes, Walt Disney World is a premier vacation spot with its four theme parks, two water parks, and Downtown Disney shopping district, but don't let it dazzle you into missing the other parks and attractions. 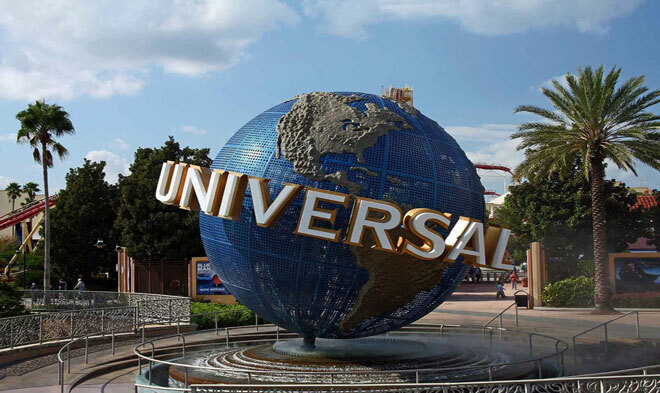 Universal Orlando Resort, home to the Universal Studios Florida and Islands of Adventure theme parks, used to be an afterthought for families coming to Orlando, but now many make it their primary vacation destination. Many were drawn to it by the Wizarding World of Harry Potter at Islands of Adventure, and rides based on popular characters from movies like “Despicable Me” and “Transformers” at Universal Studios Florida are drawing ever-bigger crowds. 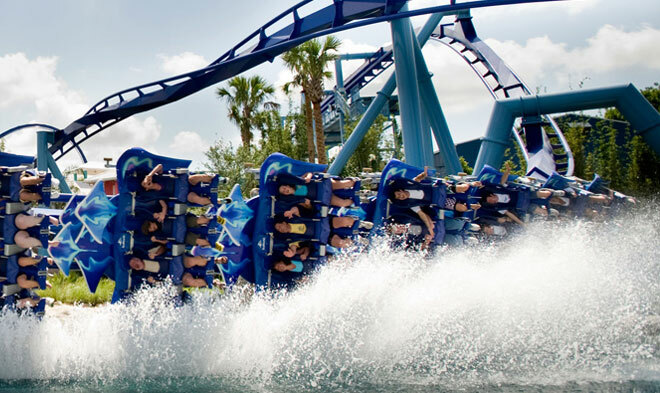 SeaWorld Orlando is another hot spot for families who want a change of pace. Kick back, relax, and enjoy the shows and animals habitats instead of rushing from ride to ride. Sure, there are roller coasters and other rides here, but the orcas, dolphins, sharks, and other creatures are the biggest reason to come here. If you want to venture a little farther from Orlando, Legoland Florida is paradise for kids up to 12 years old who love Lego bricks. 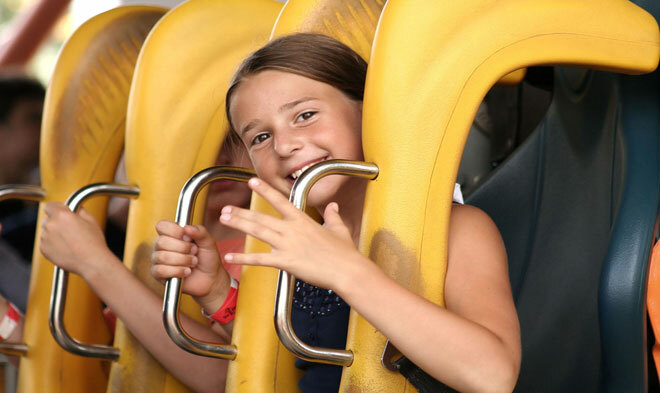 The “pink knuckle” rides are geared for younger children, while parents and grandparents enjoy strolling through the old Cypress Gardens area and taking a family photo under the famous banyan tree. Disney isn't the only place to find water parks. Universal has Wet 'n' Wild, a great water park for thrill seeks on International Drive, while Aquatica is right across the street from SeaWorld Orlando and Legoland has its own adjacent water park. In Florida, swimming weather lasts pretty much the entire year, so bring your swimsuits and visit one of these parks if you have a water-loving family. The area around the theme parks is packed with fast food and casual dining chains, but if you want to experience something different, opt for one of the dinner shows. Why not have a dual experience of entertainment while you eat? You'll find a show for every age and taste, although those that are centered around horses are always big favorites with the kids. That means Arabian Nights if you have princess-loving girls or Medieval Times for boys who love clashing swords and brave knights' adventures. Other dinner show themes include gangsters and an old time speakeasy at Capone's, laughter-inducing magic tricks at the Outta Control Comedy Magic Show, or swashbuckling adventure on the high seas (yes, you eat around water and a very impressive ship) at Pirates Dinner Adventure. At Walt Disney World, you can let out your best belly laugh at the corny antics of the Hoop-Dee-Doo Revue crew. You might not think that shopping and Orlando go hand in hand, but it's actually a very popular spot for shopping sprees. The area gets many international visitors who stock up on goods they can't get back home or items that are much cheaper in America than in their home countries. Even if you're a domestic visitor, you'll find some great bargains at the outlet malls. The regular shopping malls are popular with tourists, too, and they make a nice change of pace from the theme parks, especially on hot, muggy days when a stroll through an air-conditioned indoor mall feels so good. The two most popular and convenient malls are the Mall at Millenia near Universal Orlando Resort and the Florida Mall near the Orlando International Airport. Both Disney and Universal have their own shopping areas, too. Downtown Disney has everything from clothes to toys to upscale perfumes, and CityWalk at Universal has offerings from character t-shirts to candy to cigars. You might be surprised at the variety of other attractions that surrounds the major theme parks. You can literally do everything from indoor surfing to reverse sky diving to helicopter rides to Segway tours to zip lining, all within half an hour or less of Walt Disney World. Want to tour a real, working chocolate factory? How about saddling up for a horseback ride or zipping through the swamps on an air boat? All those experiences are close by, and you can get a discount for just about any of them by grabbing a free coupon book at your hotel or a local restaurant. All these options might sound overwhelming, but that's really just scratching the surface of the wellspring of Orlando attractions. When you book your vacation, choose a package that gives you some free time to have a spontaneous day or two, depending on how long you stay. You'll find plenty of options on www.orlandtravelproviders.com or by chatting with an agent at 1-800-618-5002.